This Lemon Pound Cake is the only lemon cake recipe you will ever need! You are going to love the super moist texture and the rich citrus flavor. 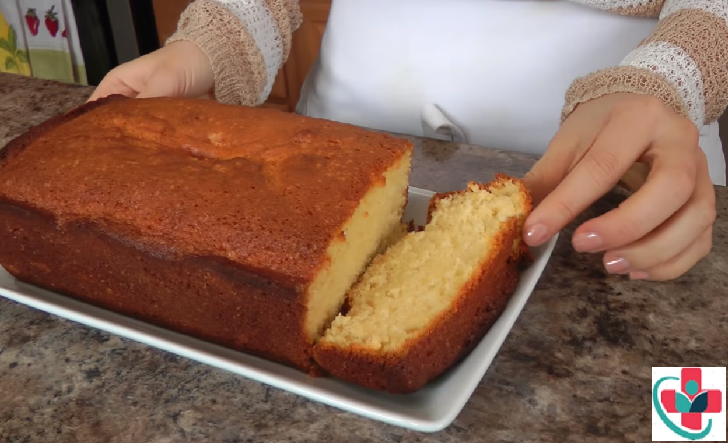 Here's a Lemon Pound Cake recipe that is impossible to forget. ➧ 1 6oz container of Vanilla Yogurt, save the container because that will be your measuring cup. ⏩Preheat the oven to 350 degrees, line a 9X5" loaf pan with parchment paper and spray with nonstick cooking spray. ⏩In a large bowl, whisk together the yogurt, vegetable oil and sugar, add the eggs and lemon zest and blend to combine. ⏩Add the flour, salt, 2 tsp of baking powder and 2 tsp of vanilla extract and mix until it's all incorporated. ⏩Pour the batter into your prepared pan and bake for 50 minutes to 1 hour or until golden brown on top and fully cooked through. ⏩Allow cooling entirely before serving.